Beckett has been serving the heating industry since 1937; Reginald Beckett started one of the largest oil heating product lines in the world today. Every year the company grows more and more providing the oil industry with higher performance and higher quality products. Today they have a complete line of parts and products that will assist in a high performance oil heating system. The Beckett Oil Burner is one of the most popular; it is used in a high percentage of oil fired heating systems. 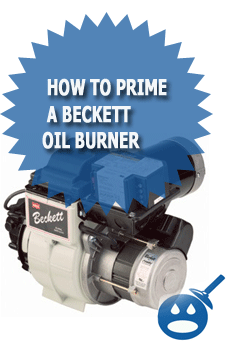 The residential Beckett oil burner or the NX is one of the most used. What makes this oil burner better than other oil burners is that it has a patented air guide and insert scroll that is guaranteed to provide a high static pressure, which will give off a cleaner combustion in the more modern applications. Today with every company producing more environmentally friendly products, Beckett was one of the first oil heating product companies to do just that. These oil burners offer a quiet operation due in part to a quality sound cover and high quality and high performance components. As we mentioned the Beckett Oil Burner offers a high static pressure and along with the air intake kit makes for a great way to set up a direct vent installation. The NX Beckett Oil Burner is also easy to service, with addition of the standard components the oil burner uses a combination of air and head settings which are used with one adjustment an d will allow the zero position to be set without actually having to take out the burner itself. The capacities of the Beckett Oil Burner are the BTU’s per hour rating for input are 56,000 to 280,000. 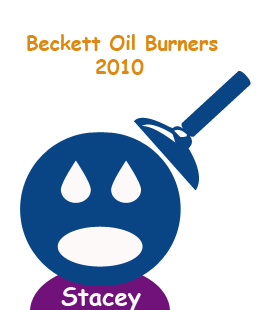 The maximum output on the Beckett Oil Burner is 420,000. The gallons per hours are set for 0.40 to 1.75. The Beckett Oil Burner uses either No 1 or No 2 heating oil, ASTM D396 only. The electrical requirements on this burner are as follows, the motor is a 3450-rpm, NEMA 48M-Flange. The power supply is rated for 120 volts with 60 Hz and single phase. The ignition is a continuous duty solid state igniter, which is 20,000 Volts Peak Electronic. The oil burner is rated for an operating load of 2.0 maximum amperages.The Beckett Oil Burner does not come with the nozzles, but it does come with adjustable mounting flanges, low fire baffles, static plates and assorted heads. The Tube Center to the floor is 8 inches with an air tube length of 6-5/8 inches and a 4-inch air tube diameter. The fuel unit is also a single stage. These residential oil burners are compact in size and measures in at 12-1/2 inches in height x 15 inches in width and 9-1/2 inches in depth. 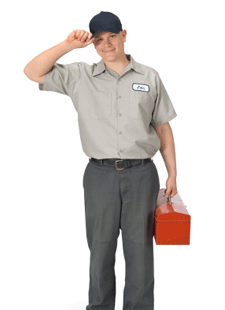 If you were to shop for a new boiler, furnace or water heater would see that the Beckett Oil Burner would be one of the choices or the standard on these brands, Slant Fin, Weil, McLain, Biasi, Burnham, Buderus, Peerless heaters and Crown Boilers just to name a few. Does the burner need to be oiled and if so where?